It is said that a man cannot be a true petrol head until he has owned an Alfa Romeo. I have had two. Don’t ask me why. Oh all right then, but it’s not a pretty story. It culminated in my wife suggesting that ‘petrol’ was not quite the right word to precede ‘head’. 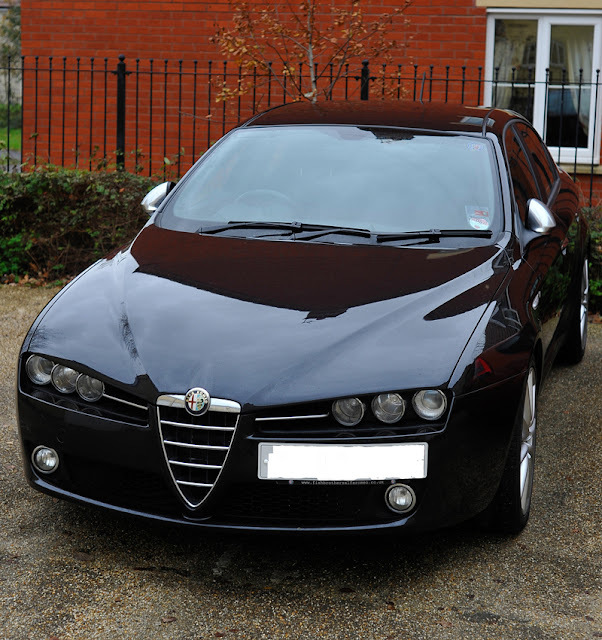 I once owned an Alfa that, when the mood took me, I could watch rust away in real time, It was true love - whilst it lasted; but love is a fleeting thing and my head was turned by a shiny harlot beckoning to me from a car showroom. That’s all in the past now. Best forgotten. 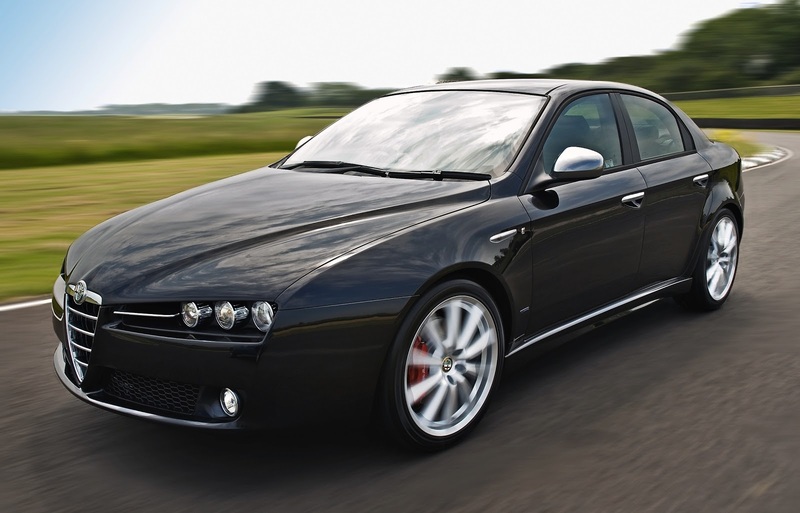 Moving on, I actually sold a Porsche Cayman to get the Alfa 159. That’s how crazy and mixed up I was. I thought I needed a motorway express to tote stuff around the country although that’s not how things worked out as it happens. There is no doubt however that the recently defunct 159 is a seriously beautiful car. Even the door handles are sculptural delights. More ardent admirers have been known to experience - how to put this delicately - strong emotions in the trousering department. I selected a Ti because it had lowered suspension and 19” wheels - more on that later - and a 2.4L diesel for economy. The colour was flecked ‘Carbonio Black’. It changed with the light. For leather fetishists the interior was like their favourite club. Black leather throughout embellished with brushed aluminium trim. That’s it in the picture. The number plate is obscured to protect the new owner, poor bloke. Best of all was starting the thing. It had a slot-in key and a real, actual, genuine start button with ‘Start’ engraved on it. It just doesn’t get any better than that. The pleasure I got from saying “Gentlemen, starrrrt yurrrrr engines” in what, I felt, was a very accurate American drawl was beyond measure and remained so until my wife said, “For heaven’s sake will you stop doing that!”. She didn’t say “for heaven’s sake”. That’s the good news. The bad news is that Alfa, at that point at least, had not really sorted the reliability issues that plagued the brand: they just thought they had. Electrical gremlins began creeping in within the year. Batteries were exchanged and excuses were made but the worse thing was the aforementioned wheels. Nineteen inch wheels need big tyres. Big tyres are expensive; especially when the Alfa did for a set of front hoops in just over six thousand miles. The car was delivered with an amount of negative camber to make the driver believe he was better at cornering than he really was. This was adjusted. Zero camber did not solve the issue. The fact is, a stonking great diesel engine suspended over the front driving wheels of what is a heavy, powerful car equals tyre wear and that’s all there is to it. The problems became too much. The Alfa had to go. Since a mile-muncher was no longer required I selected a hot hatch. Boy, what a mistake that was….